In this episode #88, I discuss the role of data in content marketing. Instagram has released Carousel Ads for Instagram Stories. The new feature allows advertisers to have up to three pieces of media per Stories ad, before it was just one. Carousel Ads for Instagram Stories acts in the same way as other Stories content, meaning you can tap through, swipe back and forth or pause the content whenever you’d like. Now with two additional pieces of media, advertisers can add depth to their storytelling in the same way the community does today. Already, Gap (@gap) is tapping into Carousel Ads for Instagram Stories to incorporate native elements—like pinning and drawing tools—and using the additional space to highlight more of their campaign. Snapchat has rolled out a major new update much to the annoyance of users. You now have to swipe right on the camera screen to access your friends’ Stories, and swipe left on the camera screen to access Stories from publishers and creators. On the opposite side of the camera screen – where Stories used to be – is the new Discover page. Instagram has confirmed to TechCrunch that it’s testing an option that lets you share public feed posts from other users to your Story. This could let you add commentary and overlaid stickers to a meme, celebrity post or even a friend’s photo. For privacy, users with public accounts can go to their Settings to turn off the ability for others to re-share their posts. Even if you don’t have the re-share option yet, you can still find the privacy setting now. Then again, people could still just screenshot their posts. In this episode, I interview Yva Yorston, founder of Content Boost. Her company provides content marketing strategy, blog management and coaching to SMEs and solo entrepreneurs. Starting her career as a virtual assistant, Yva soon realised that her own blogging skills could add value to a new customer base. In this episode, I’m sharing three data tools to help you better understand content marketing. Google Analytics gives comprehensive demographic data about your audience. It measures engagement, helps you determine which topics are most liked, and identifies where the audience is coming from. You can rely on Google Analytics to measure the effectiveness of your social media marketing efforts, as well as your other custom campaigns. Free for personal use with the ability to upgrade, Scoop.it is a content curation and analytical tool used by over 1.2 million people and companies. Basically, its own network publishes and shares your posts and plugs into any mainstream social tool (like Buffer). Analytically, Scoop.it measures your views, visitors, comments, and shares per day, and integrates with Google Analytics. Its guide centre offers product guides, case studies, demos, and FAQs on how to use this extensive tool. Followerwonk analyses a Twitter account’s followers and tweets to present a range of information useful for targeted marketing. The data is broken into charts that make for a simplified graphical representation. Followerwonk also allows you to figure out most-used hashtags for an account as well as optimal times for tweeting (when most of the followers are active on Twitter). Tune in to listen to my answer to Sinead’s question. In today’s JSB column, I’m going to remind you of the importance of producing content for your customers. If you would like to hire JSB to help you develop your content marketing strategy then get in touch! Simply drop me an email to joanne@digitaltraining.ie. 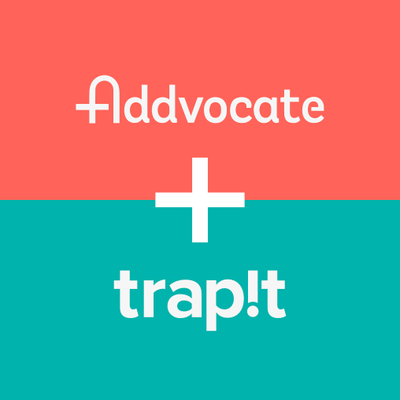 The tool that saved my working week this week is Addvocate. Addvocate gives you data about the people who share your content the most on the largest number of social channels. Such data can be invaluable for the creation of strong and effective content. Working with the top influencers and the individuals who are most committed to doing content marketing will drive up engagement and ultimately affect the online reputation of your company. Addvocate also provides data about which content has been shared the most and which channels have produced the highest audience response. Apart from enabling enterprise sharing, this tool is great for figuring out what the audience wants and which social network is the best one for reaching the right crowd.